Summer is a busy time on Vancouver Island, as tourists flock to the beaches and forests, while festival season is in full swing. The Vancouver Island community of Ladysmith is a bustling place during the summer as outdoor activities abound, with residents and visitors getting out to enjoy area beaches, forests, boating, sports and more. And the community is gearing up to celebrate. 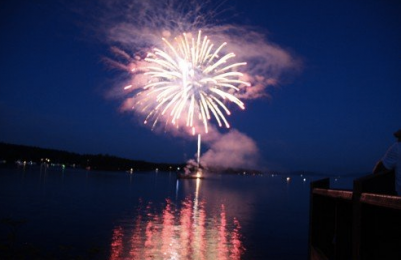 Ladysmith Days are celebrated Aug 5-6 in 2017, with a parade, fishing derby, live music, food vendors and much more. The waterfront is lit up with a fireworks finale to cap off the celebrations. From your new home at The Gales in Ladysmith, you'll be close to all of the action. Or you can choose to simply soak in the sunshine from your ocean view decks. With all of your landscaping maintenance taken care of, your weekends are free to head out and enjoy all that the community and the rest of Vancouver Island have to offer. Comox Valley Realtors Art Meyers is your source for homes for sale in Courtenay, Comox and Cumebrland. 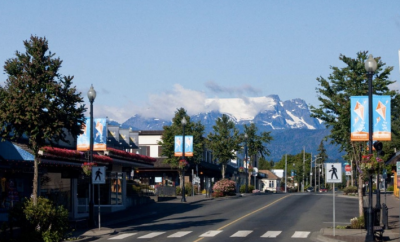 If you are looking to move to the Comox Valley on beautiful Vancouver Island, Art Meyers is the experienced realtor you need. In a competitive real estate market, you need a realtor who knows the community, understand what your family needs in a home and can find the right house at the price. For more information, contact Realtor Art Meyers of Royale LePage in the Comox Valley at 250.207.1879. Real estate prices continue to rise in Vancouver, the Lower Mainland and Victoria. In Vancouver, the average price of a house is well over $1 million and in Victoria, the average price of a detached home is $800,000 according to the Victoria Real Estate Board’s statistics for June, 2017. In the Comox Valley on Vancouver Island, the bench mark price of a single family home here is $436,000, according to the Vancouver Island Real Estate Board’s June statistics. Thinking of relocating? Consider the Comox Valley which includes the city of Courtenay, the Town of Comox and the Village of Cumberland.. 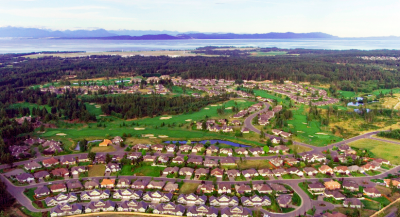 Residents enjoy the green vistas of the environs as well as mild year-round temperatures in this friendly Vancouver Island community. New homes at The Ridge in Courtenay can be custom designed to meet your family's needs, with many lots allowing for secondary suites or carriage homes. 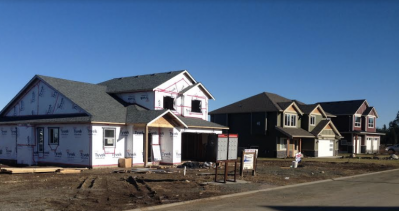 Phase 2 lots are now under construction, with many new homeowners already living in this friendly community. Showcasing dramatic styling, these new homes at The Gales offer luxury finishes and wide open spaces that reflect the spectacular ocean and mountain views that surround this 68-home community. In addition, the development's Built Green® platinum designation shows a commitment to environmentally sensitive construction techniques. 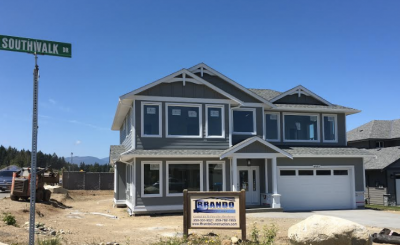 Brando Construction, one of the select preferred builders at The Ridge in South Courtenay is opening their new show home on July 8. The show home will be open Saturdays from noon until 2 pm. 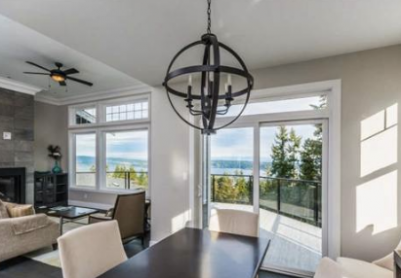 It is located on the corner of Harbourview and Southwalk, at The Ridge in Courtenay. Brando has built more than 25 homes in Phase 1 of The Ridge and they have more homes planned for Phase 2. Contact their sales team for new construction - Realtors Michele Courtney and Bill Anglin - who will be able to show you what lots are available, many of which feature stunning ocean or mountain views. Choose one of Brando's popular floor plans or bring your own plans. They look forward to meeting you!